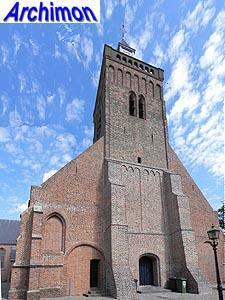 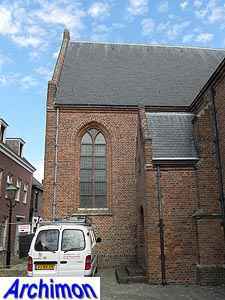 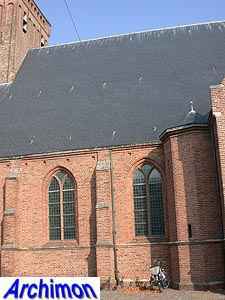 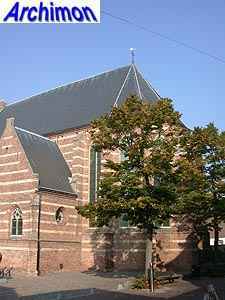 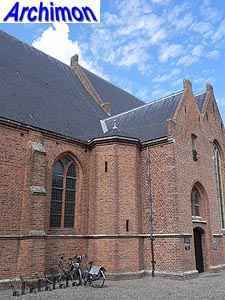 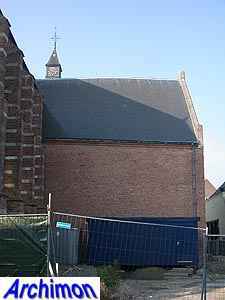 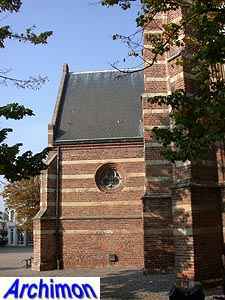 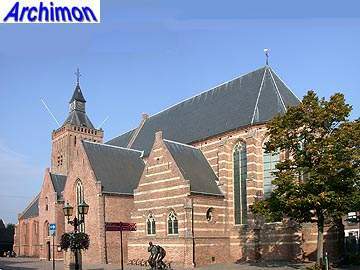 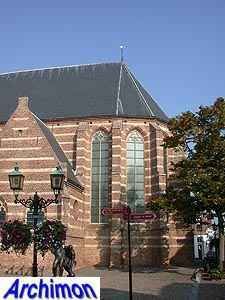 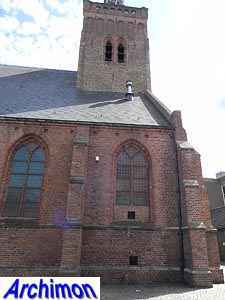 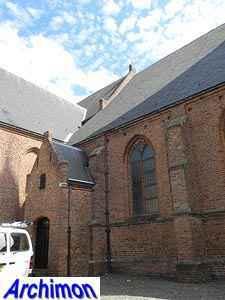 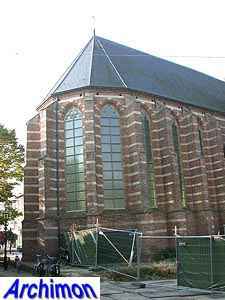 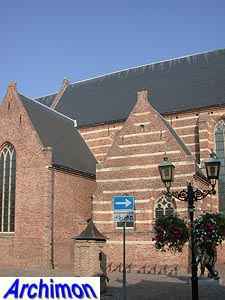 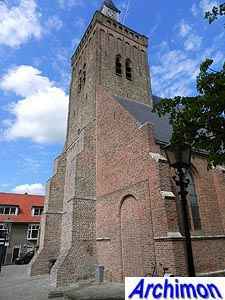 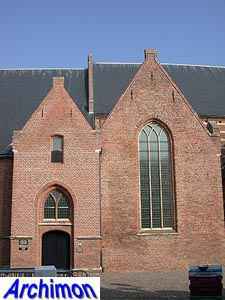 The reformed church or Grote Kerk is mostly a late-Gothic building, but part of the tower dates from the second half of the 13th century and is in Romanesque style. 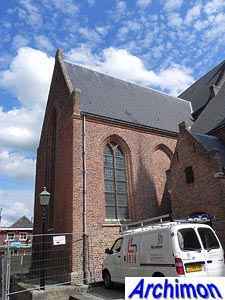 The church itself was gradually replaced. 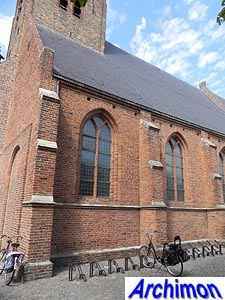 In the first half of the 15th century a Gothic transept was built, followed by the choir and the sacristy, both of which have decorative natural stone layers in their brickwork. 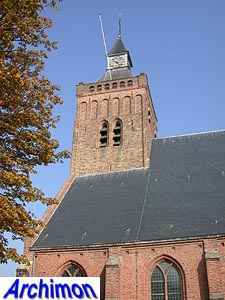 In this same period the tower was heightened. 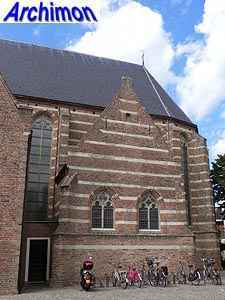 Early 16th century the northern transept-arm was replaced by a wider one. 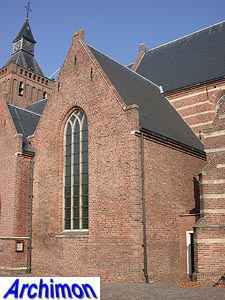 The original nave was replaced by the current pseudo-basilican construction in c. 1550, with side-aisles running along the tower. 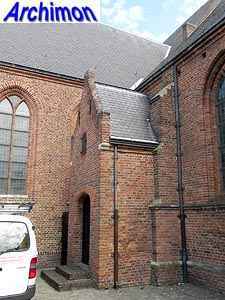 The portal on the south side dates from the same period. 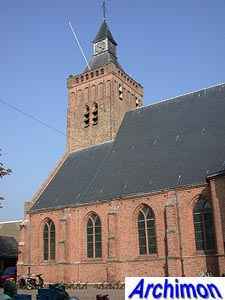 The church was restored in 1863-1865, but many of the changes were made undone during a second restoration in 1954-1960. 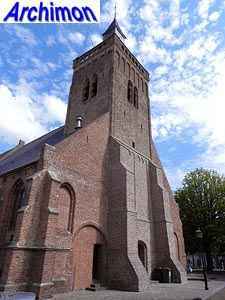 A coat of plaster was removed, the north portal and the stair-turret next to the south portal were reconstructed and the spire at the tower was renewed and a balustrade added to it.